There are endless reasons to visit Italy – the art, the history, the wine, the food, the scenery and the fashion – to give just a few examples. 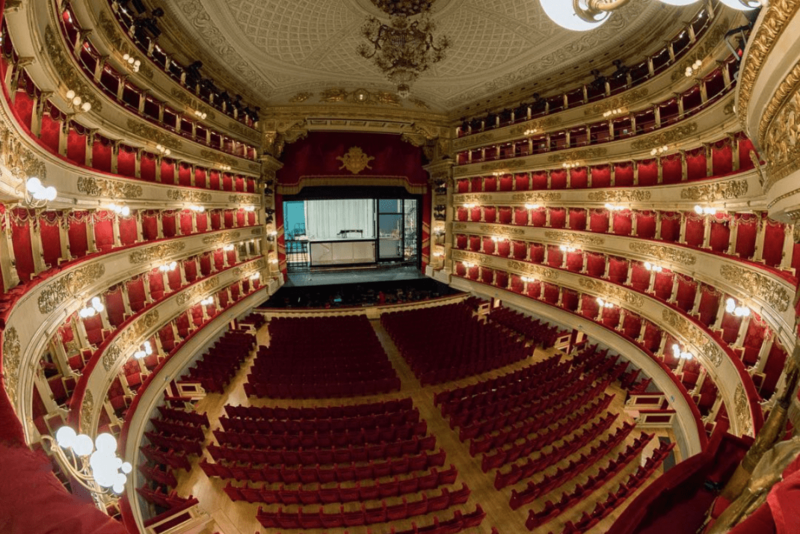 However, unless you’re a hard-core opera fan, opera sights in Italy might not make your list, despite opera being something the country is famous for. One of our favorite cities in Italy, Milan, is home to the Teatro alla Scala. Not only is Milan a top fashion and shopping destination but also one of the cultural hotspots of the country! 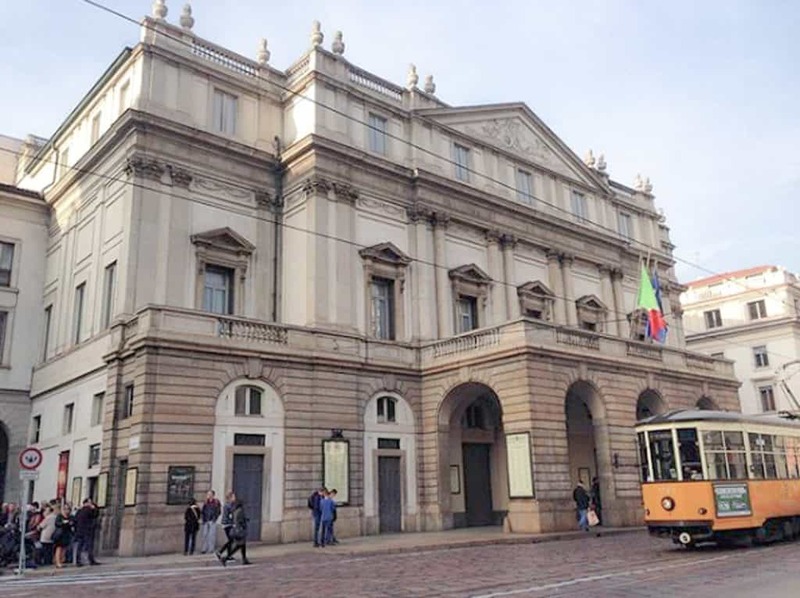 More commonly referred to as just La Scala, the opera is located in the heart of Milan, just a short distance from the Duomo. The impressive structure was constructed in 1778 and is the birthplace of Otello. The surrounding neighborhood is packed with historical monuments and art galleries as well as delicious restaurants and fun bars. We’ve come up with a list of our favorite things including where to eat and places to stay near La Scala. We promise, it’s not just for opera-lovers! Milan is an exciting destination any time of the year, but weather is best from June to September. If you’re planning on catching a show at La Scala, do indeed make sure to check the schedule online. Generally, there are no shows during the month of August. Though rather small, La Scala is a dense neighborhood. Packed with museums, theaters and historical monuments. 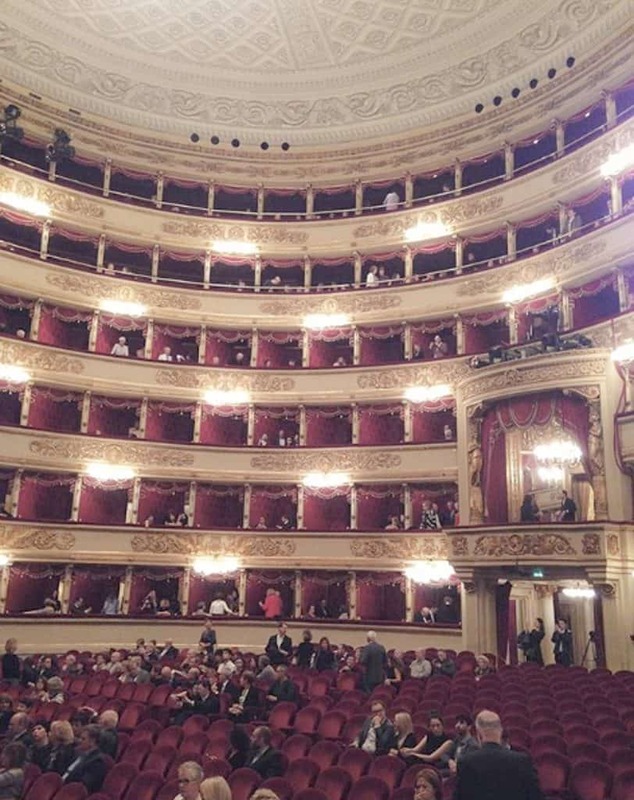 For art and opera-lovers, plan on spending an entire day near La Scala. This will give you enough time to explore some of the art galleries and discover the magnificent opera. We definitely recommend catching one of the shows at the theater, the historic setting and world-class performers are unforgettable. Along with the San Carlo Theater in Naples and the famous Fenice in Venice, La Scala is one of Italy’s most prestigious opera houses. Masterpieces including Bellini’s Norma or Verdis’ Otella were created here. It’s sumptuous interior is the perfect embodiment of Italian luxury. Right next to the theater is the Museum of La Scala. The museum has a collection of instruments, opera costumes and historical documents. We highly recommend catching a show, or at least a guided tour of the opera. Keep in mind that there are times when the theater is in use and therefore not possible to visit. Make your way from the La Scala Opera house to find the the Gallerie d’Italia, that’s made up of three historic buildings that overlook Milan’s elegant via Manzoni, via Morone and the piazza della Scala. 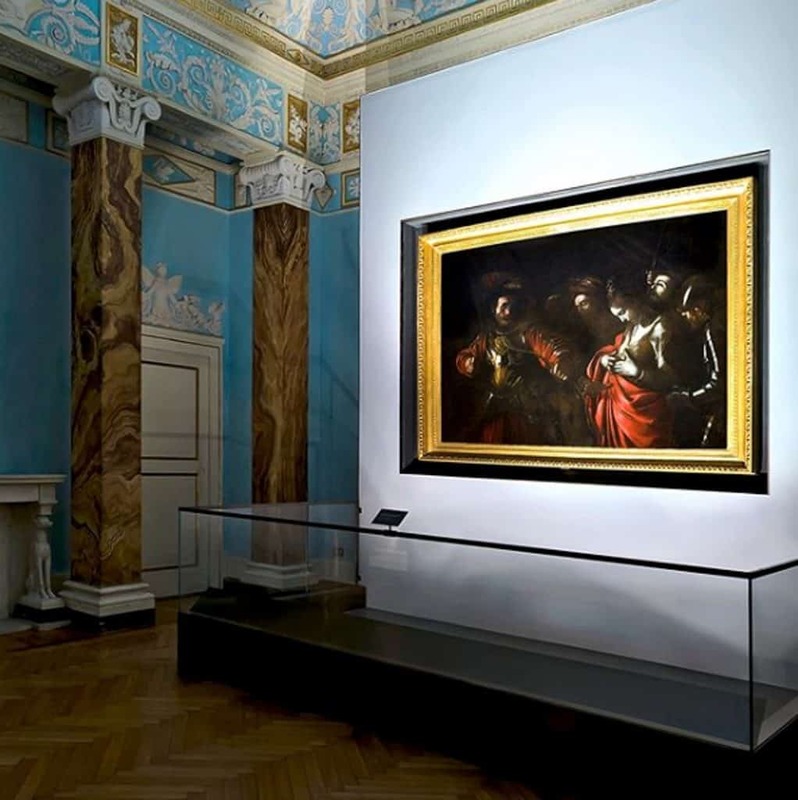 It’s the prestigious home to numerous 19th and 20th century masterpieces. It’s an art lover’s paradise. There are works from Antonio Canova, Umberto Boccioni and Lombardy, to name just a few. We recommend checking out the gallery complex, even if you’re not an art expert. The beautiful architecture alone makes it a must-see during your trip! The Piazza Affari is one of Milan’s most unique monuments. Located in front of the Milan Stock Exchange, you’ll find an 11-meter high marble statue representing a giant middle finger. The statue was created by Italian sculptor Maurizio Cattelan to tease the financial institution it stands outside of. After much criticism, the statue was supposed to be removed and has been in place since 2010. Make sure to check out this perfect symbol of Italian humor and rebellion, before it’s too late!